Screwing around and looking fab on the high seas -- that's the Sea of Thieves way. I've pretty much got my withered pirate looking the way I want, but maybe you're still searching for that perfect outfit. The studio has spoken more about its future content plans in a developer update video. 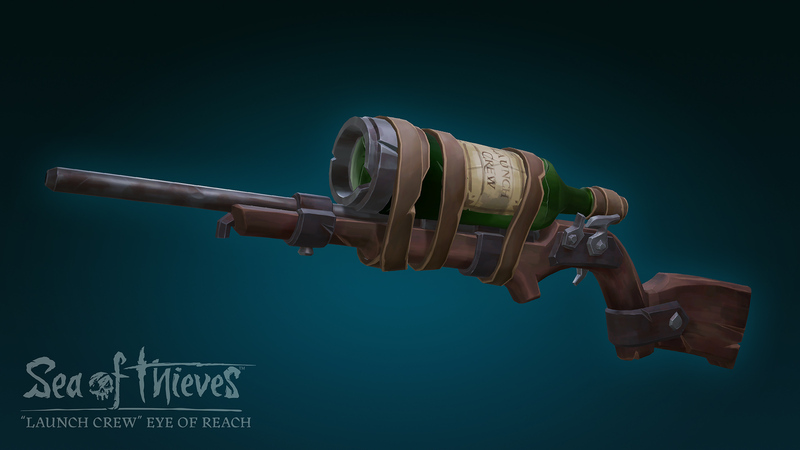 To recap, Rare has split into three separate Sea of Thieves teams -- one for The Hungering Deep, one for Cursed Sails, and one for Forsaken Shores. The first is considered a medium-sized content update, while the latter two will be larger due to a longer lead time. After The Hungering Deep's launch in May, the developers will begin rolling out weekly events leading up to the next content update. Executive producer Joe Neate also spoke about some upcoming quality-of-life features. Private crews are on the way, possibly as soon as next week, and the team is working on the ability for players to hand resources like bananas to one another. Lastly, for the sake of easier stealth maneuvers and ship-boarding schemes, Rare wants to hide players' nameplates when they're swimming underwater.